Drip: Street Ready Trap Kits from MVP Loops is a blazing hot new product in the style of Migos, Lil Pump, Young Dolph, and more is filled with haunting melodies, boomin' 808's, rapid fire snares, crispy hi hats and everything you need to create your trap masterpiece. 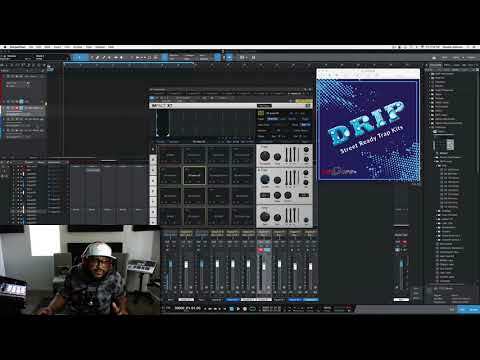 Drip is filled with hit ready melodies, expertly crafted drum sounds, and sub basses that are exactly what you are looking for. We've included 10 construction kits, individual loops, and a full mix, music mix, and drum mix. Mix and match loops to create tons of new music ideas. The product is brought to you by the MVP Loops team with major industry credits, and whose products graced more than 1 dozen of last year's top 100 songs! Download Drip today!